Winter has been going on strong for some weeks now in Austria. 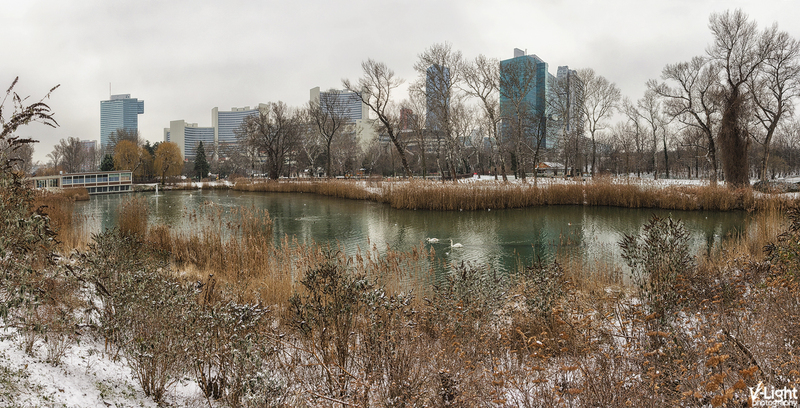 After Christmas it has snowed a few times inside Vienna as well and of course i was out taking photos every day. The reason why you haven’t seen any of these photos yet, is because i need to reinvent my editing process to make it suitable for snow. Snow is something new to me so i need to find new ways to capture it as i envision. I took some days off to refresh my brain and eyes and now i’m back to work! 😀 Brace yourselves! Winter photos are coming! My new timelapse is finally online and allow me to say that it’s probably my best one so far! Watch the Viennese skies as they catch on fire! “Urania” a public educational institute and observatory in Vienna, Austria. During World War II, it got severely damaged resulting into a completely destroyed dome and observatory. Thankfully it was all reconstructed and with an even improved observatory, the Urania reopened in 1957. Today, the Urania hosts a wide-range of classes and lectures in the seminar rooms, the annual Viennale film festival that screens in the movie theater and a puppet theater originally created by Hans Kraus. In 2003, a contemporary cafe bar/restaurant was also opened on the lower deck offering a great view at the Donau Canal. When you think about Vienna, you think classic and romantic but Vienna is making a move towards the new era. Skyscrapers and modern glass buildings are making their presence known in the Vienna skyline and i think they blend rather well with the rest of the environment. It’s now time to focus on my blog, my photography and reconnect with all the friends that i missed dearly. Thank you all for staying with me and being patient with my prolonged disappearances!